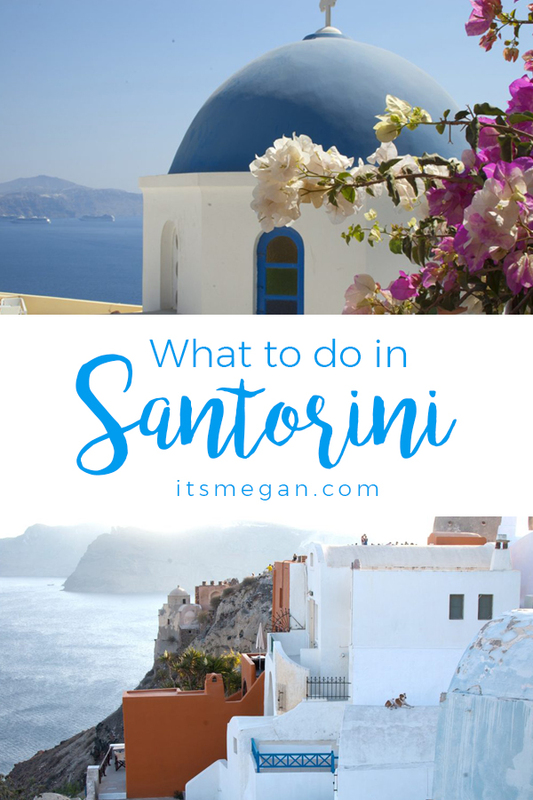 Santorini is one of the most beautiful vacation spots I have ever been to! 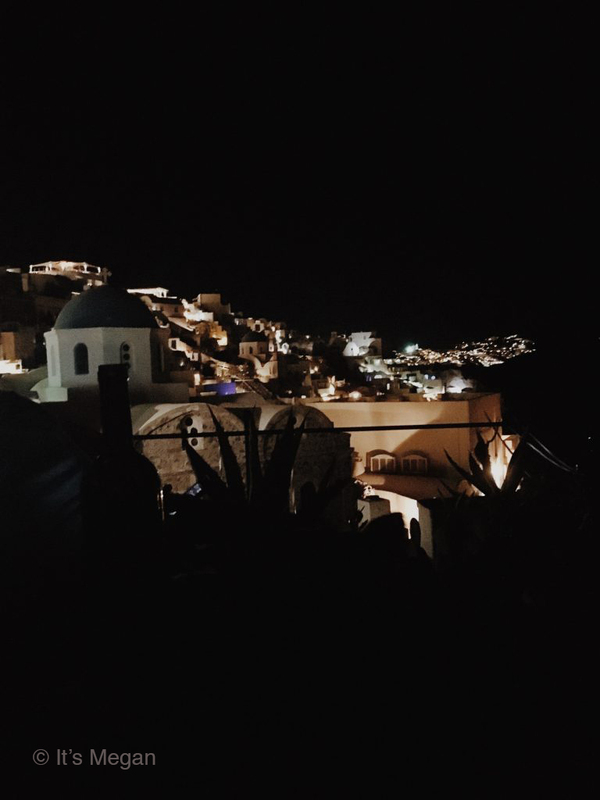 We made it to Oia, Santorini in 2016, and it was honestly so beautiful, I almost cried! 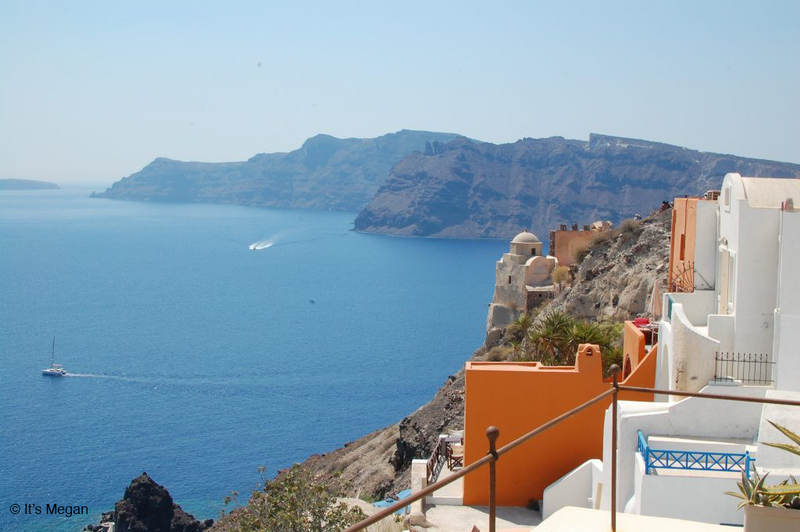 So, here’s why you need to add Oia, Santorini to your Bucket List! 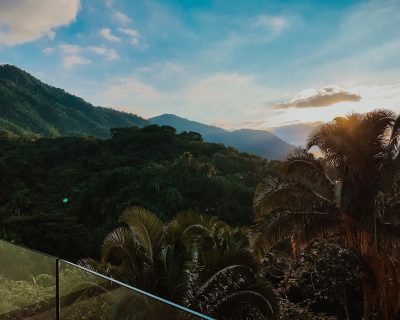 We had the absolute best airbnb ever! The location was perfect. 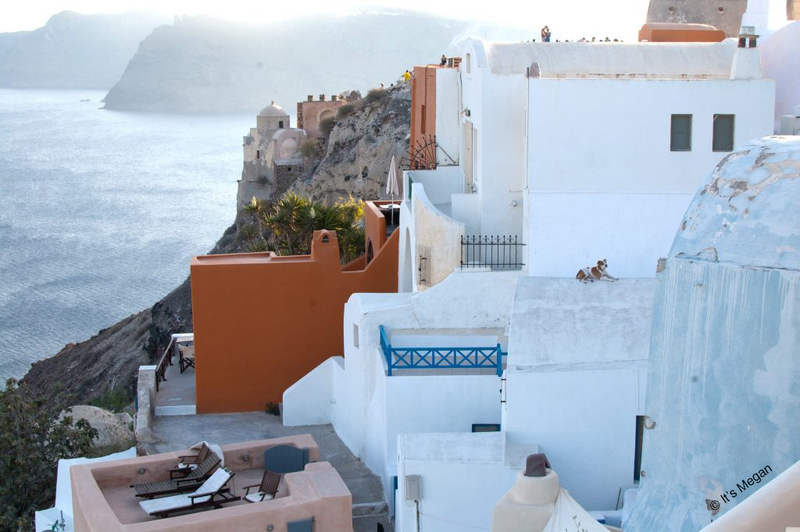 If you don’t know much about the terrain of Oia, it has a lot of layers. The houses can be pretty far from the main streets, and only accessible by hundreds of stairs, but this cave house is literally right along a main street. It can be kind of busy because of this (and because the view from this apartment is actually the same view you see on post cards. See below). But I’d rather have a few tourists stopping outside of the house than to have to take a million stairs. See below “What Not to Wear in Oia” for more information on this. 🙂 Another perk of being right by the road is you can watch the donkeys walk by! You’ll hear a faint bell ringing, then all of the sudden tourists are jumping out of the way and a train of donkeys make their way down the streets carrying bottles of water and whatever else is needed at the bottom of the cliffs. When we were there, the Lead Donkey was named Nacho! He’s a legend! Here’s the listing for our airbnb. We barely left the balcony. Do you blame us? The people who run the airbnb above also own a restaurant called “Lotza”, and it is phenomenal. We went 2 or 3 times during our trip! My favorite thing on their menu is filo-wrapped feta, fried and drizzled with honey and sesame seeds. I have craved it every day since. For breakfast, our gracious hosts provided us with fresh baked bread every morning! They would leave it in a sack tied around our door knob, and it would stay warm in the Grecian sun. It was delicious, and really added to how relaxing the place was. We also had to try a real gyro while we were there. It’s definitely different from the Chicago-style gyro I eat when I’m hungover. They didn’t use lamb meat, which surprised me. Still delicious and highly recommend! Finally, seafood! 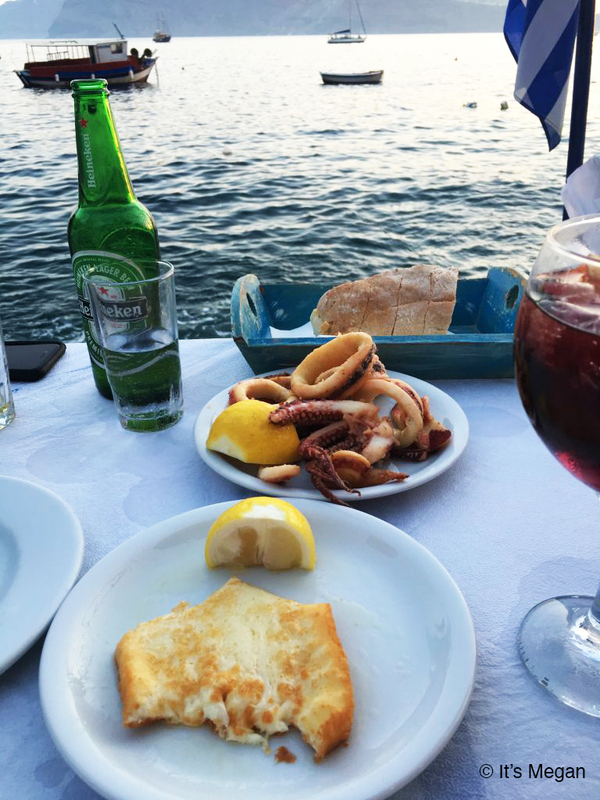 You have to eat seafood while you’re on the island. We made it down to Katina’s (recommended by our cab driver from the airport). This. is. a. must. As we were walking up, we watched a guy catch a fish and take it into the restaurant. 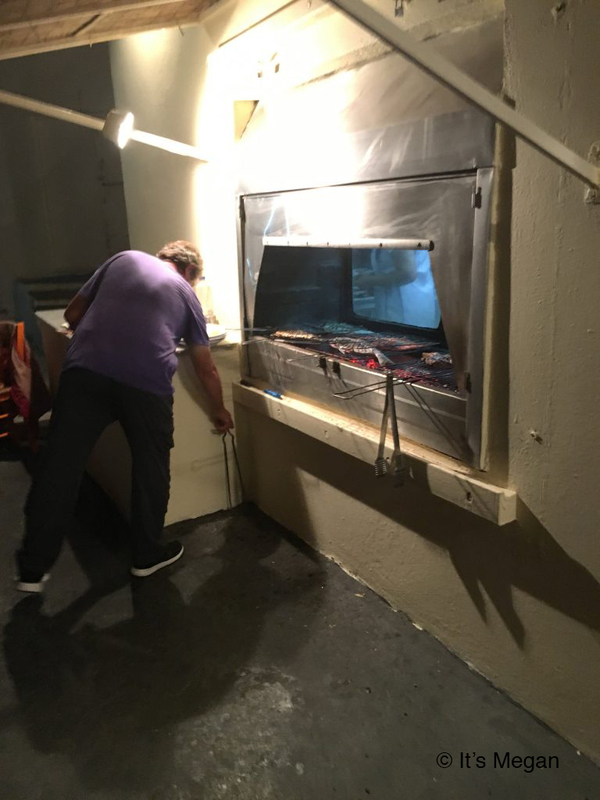 Upon ordering, you go into the kitchen and pick out which fish you want, and you can watch them grill it up outside by the tables. The seating is perfect and there isn’t a bad view in the whole place. 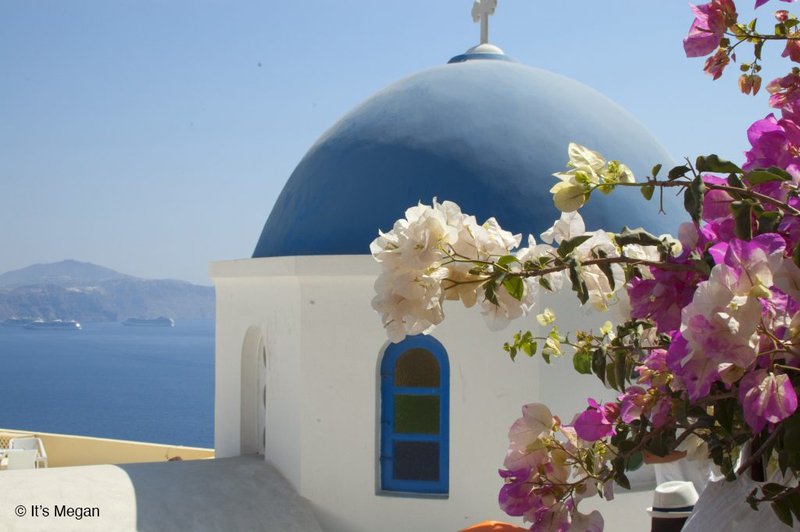 It’s the perfect spot to watch the infamous Oia Sunsets and enjoy a romantic dinner. Fish being grilled up outside at Katina. WINE! 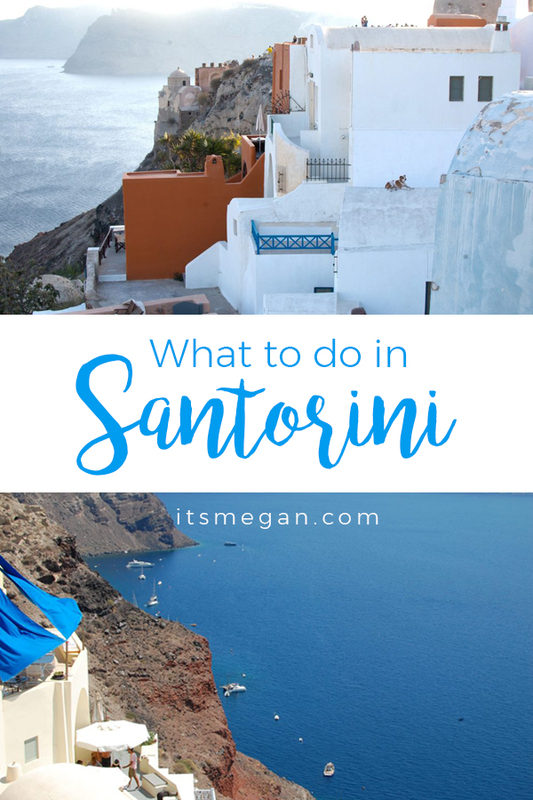 At first we bought a few bottles of red wine (we had just left Italy), but Santorini is known for their local white wine, and for good reason! Drink this the entire time you’re here. Trust me. 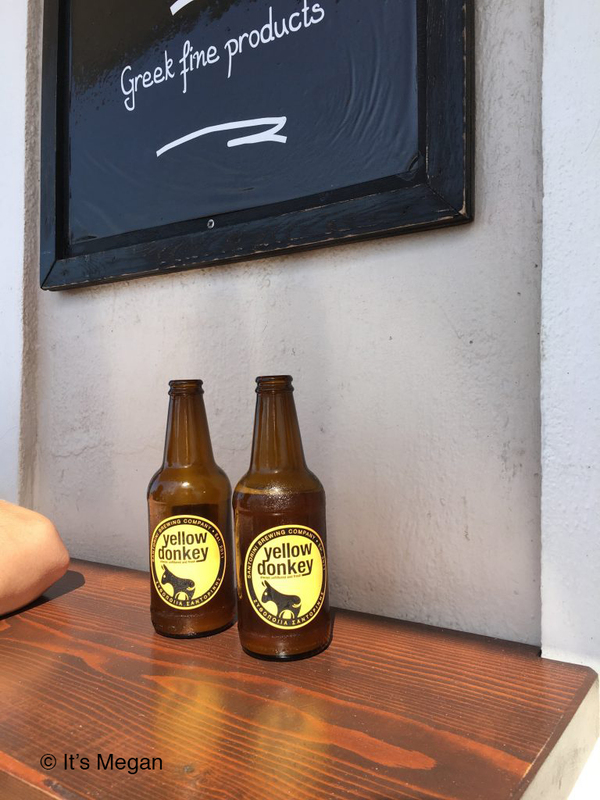 We also tried the local beer, Yellow Donkey. Cute, right? The first thing we like to do is walk around exploring. 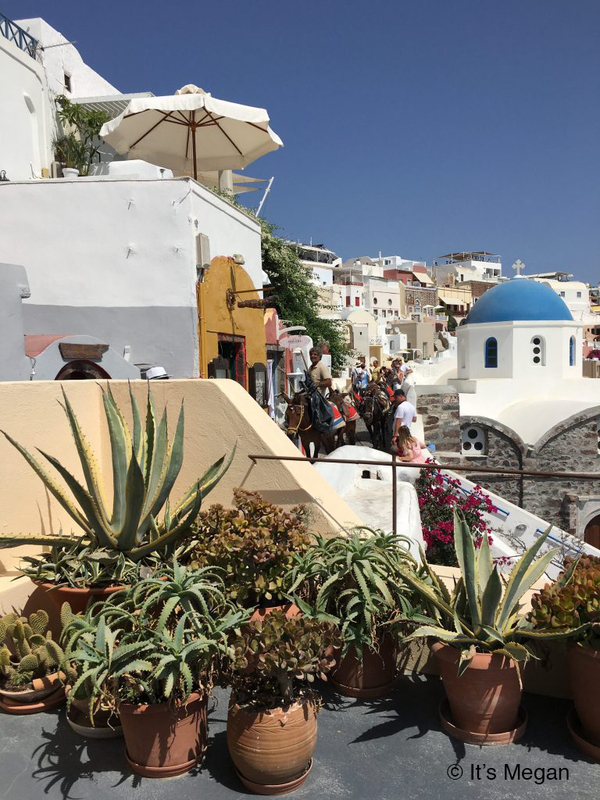 Santorini has beautiful shops and churches, and there are no bad views in the whole city! 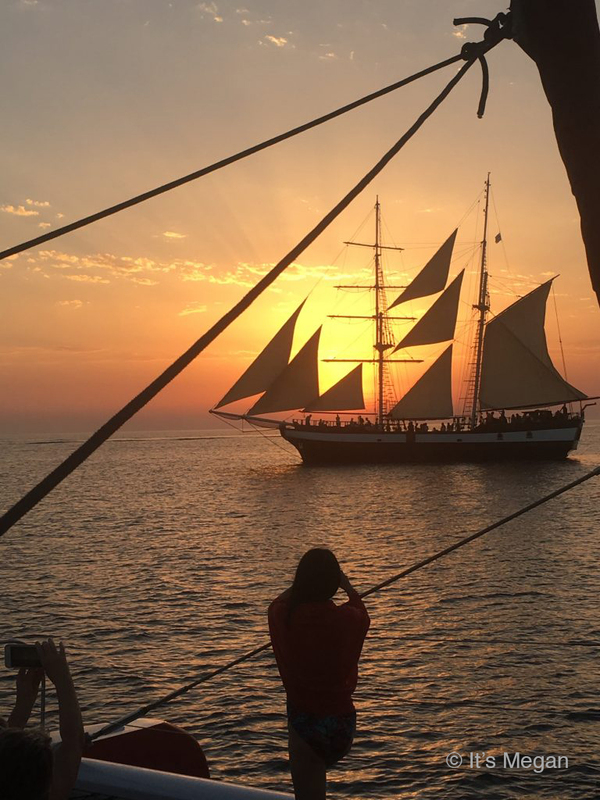 Take a Sunset Boat Ride. 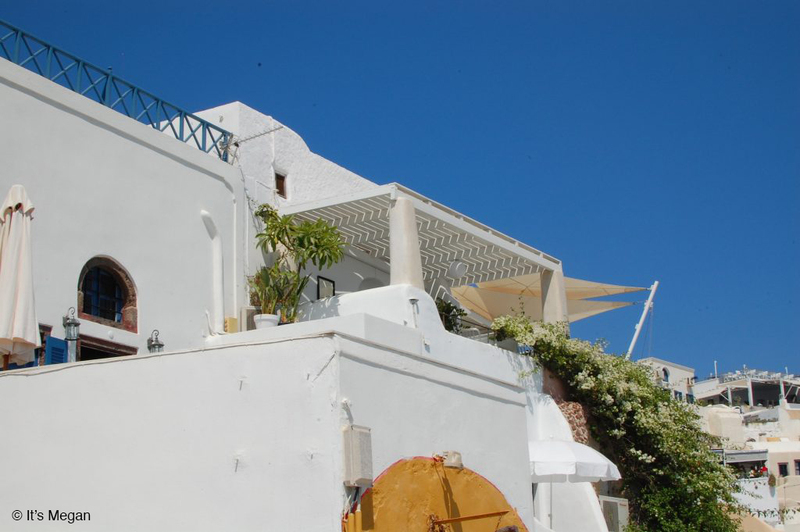 You can book this right on the main street of Oia. If we would have realized how amazing this was, we would have done it every night! The boat takes you around to different beaches (black sand beaches, red sand beaches, etc), and you get to snorkel! 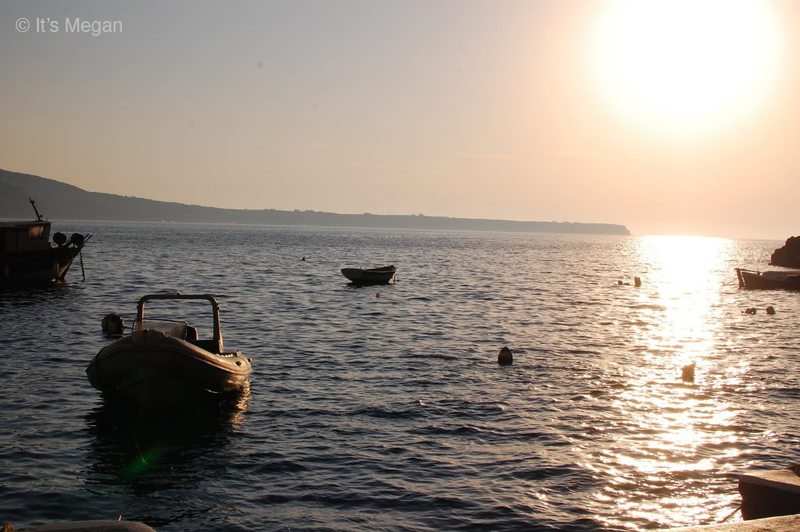 One of the stops on the trip is to a natural hot spring (Santorini is in the most active volcanic centre in the South Aegean Volcanic arc), and the mud is said to be very good for your skin! And, we saw a yak. In real life. On the side of a cliff. I think that’s reason enough to go! Get a massage! We scheduled a couples massage in a cave, and it was exactly what we needed after traveling. Check out Atlantis Bookshop! It’s a cute little bookshop with some very old books. 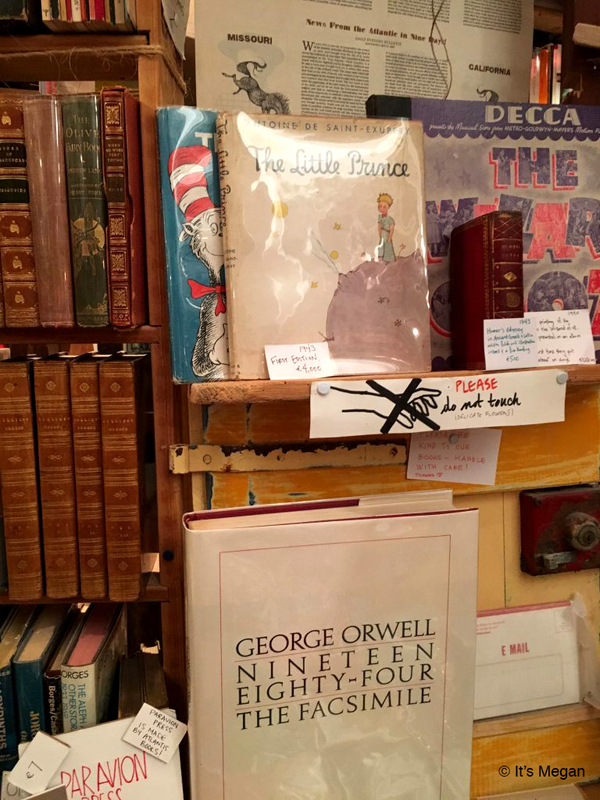 We found a first edition of The Little Prince from 1943 for €4,000! Needless to say, I’d recommend you don’t touch anything! Remember earlier when I mentioned “What Not to Wear in Oia”? Don’t wear flip flops! I did, and the stones that are used for the steps and walkways can be extremely slick! I fell straight onto my back (right before the massage of course) – it was so bad that the man behind me was checking me for a concussion! Wear shoes with rubber soles, trust me! Set up a taxi from the airport to Oia! It makes life so much easier. If you can avoid coming into the city right before the sunset, I’d recommend it. Traffic can be pretty bad because everyone wants to come to Oia for the sunset. Also a note about taxis: They are intense drivers! The streets are along cliffs and have tight curves, and the taxi won’t slow down. Just try not to look (haha). Even the bus to our boat tour was aggressive on the curves and, as someone with anxiety, it was almost too much. Maybe try to nap through it? Occasionally the power would go out, and of course it was while we were starving looking for a place to eat lunch! Nobody could serve food because they had no power. I guess a way to keep from getting hangry is to have snacks on deck! Are you planning your first European Vacation and need some help? 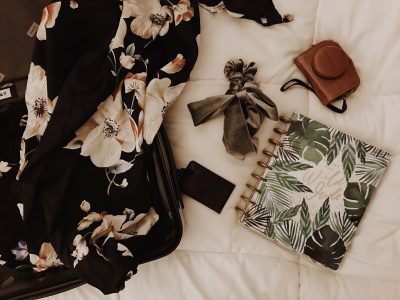 Check out my blog post for tips! I’m glad you tried the beer! I do love my Italian wines, but the beer in Italy is really good and I found the locals generally drink quite a bit! Ahhhh I love this so much!! 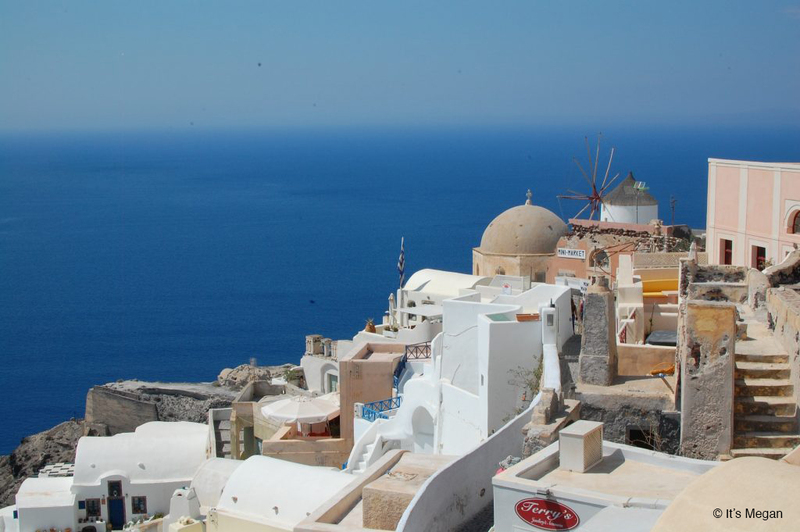 I have been wanting to go to Greece for the longest time and Oia is definitely on my bucket list! 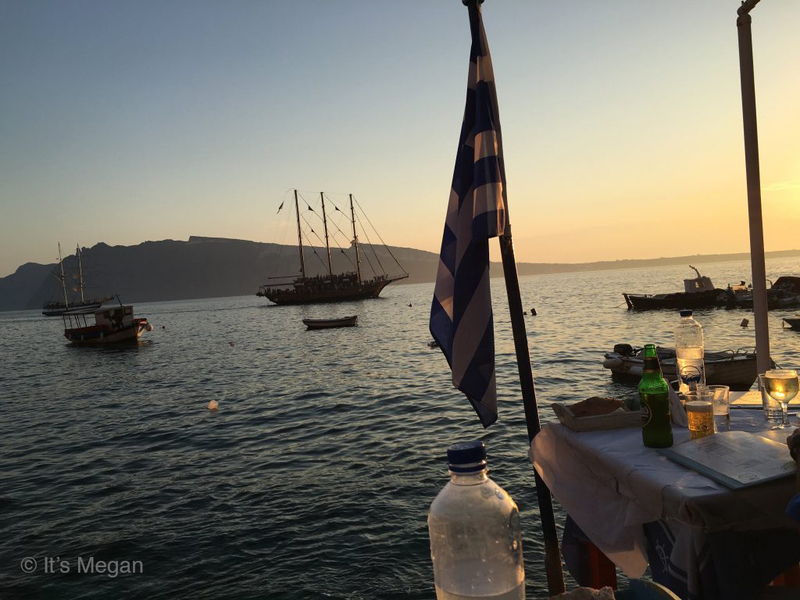 I love Greece! 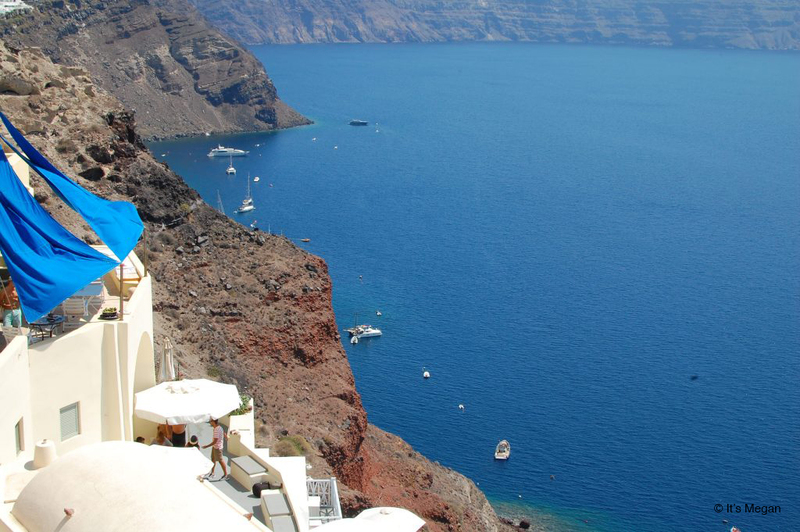 I visited Santorini in 2009 and it was an amazing trip! Wow this is amazing!!! Dying to go to Greece!! Your pictures are stunning! 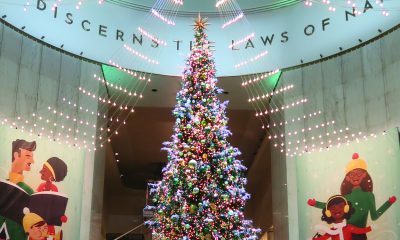 Everything looks so beautiful! 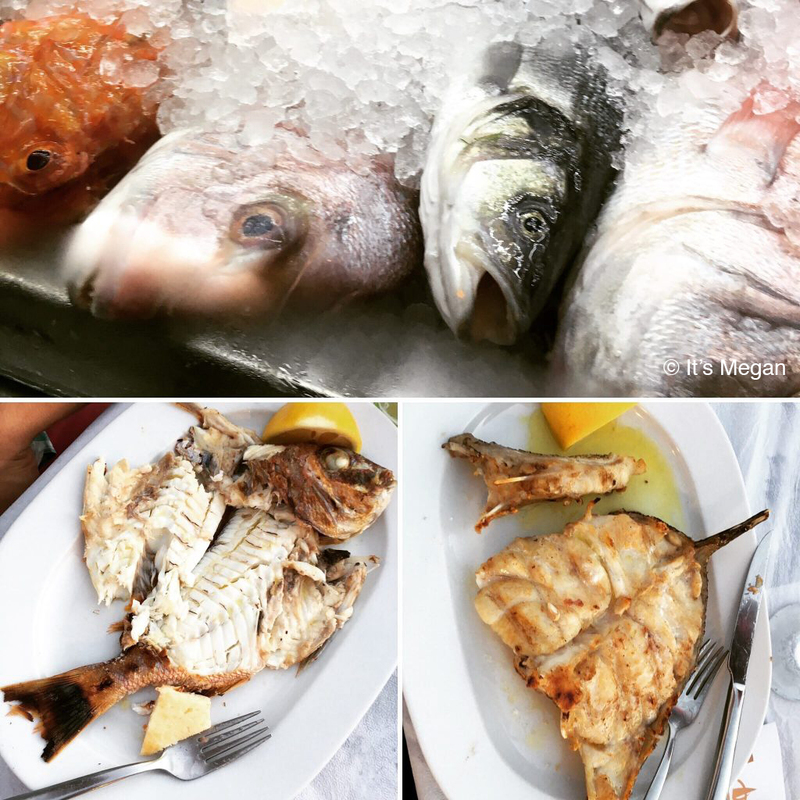 The freshest seafood is easily the best food on the planet. I would love a trip here for sure! My husband and I’s dream vacation. Plus we never went on a honeymoon. I never thought of an AirBNB so we definitely have to look into that.